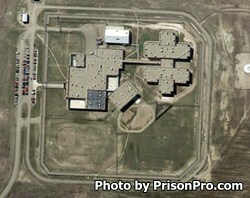 Crossroads Correctional Center is a prison located in Shelby Montana, part of Toole County. It is a privately contracted facility ran by Corrections Corporation of America. Crossroads Correctional Center has the capacity to house 564 male inmates of mixed custody level. Selected inmates from this facility provide supervised labor for projects conducted by the City of Shelby.